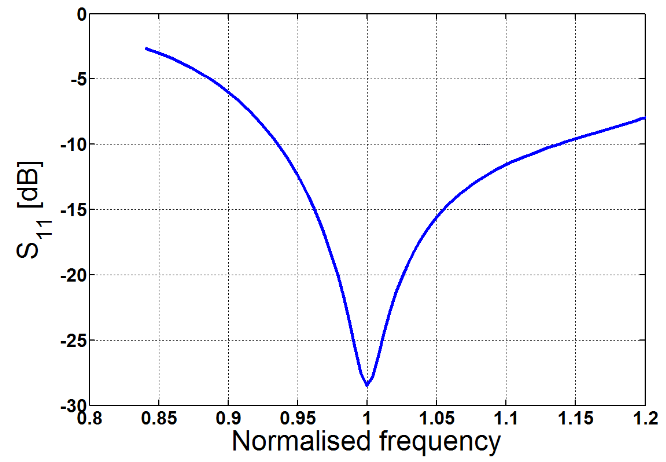 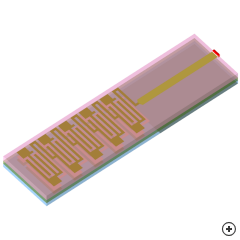 Image of the Ultra-small integrated monopole. 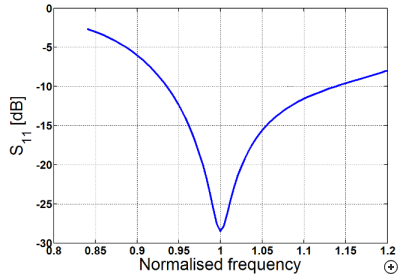 The ultra small integrated monopole for integrated WLAN applications has been reduced by 70% when compared to a normal printed monopole. 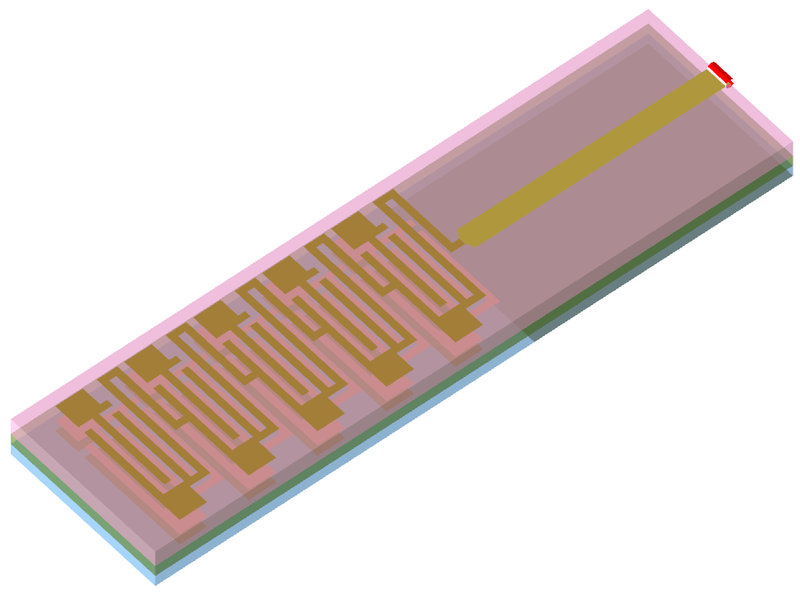 Structures such as this one - based on an ultra slow-wave transmission line design - have received significant attention as a way to reduce the size of passive components. 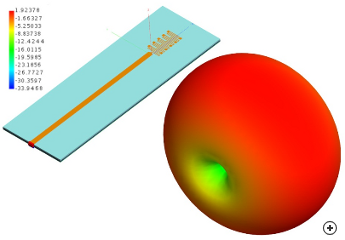 The antenna consists of a cascade of 5 unit cells of the ultra slow-wave transmission line without the metal ground plane, where each unit cell consists of three layers - a patch on the bottom layer and inductive loops on the other layers - all connected with vias.